If you like smoothies, here's Montel Williams Smoothie Recipe in another version. 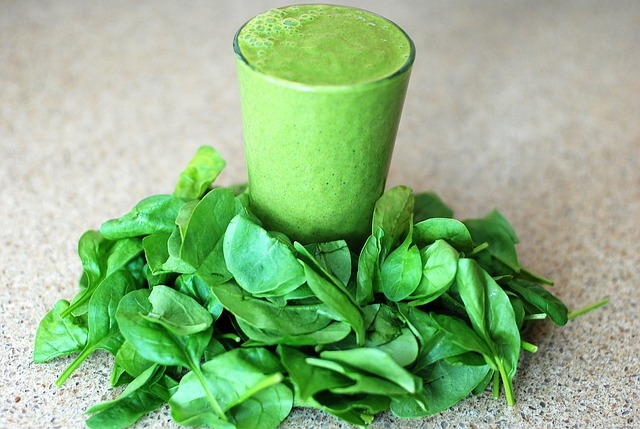 (Want the original Montel Williams Green Smoothie? Click here). Now I don't know about you, but anything with mango in it is perfectly fine with me. I can eat mango's everyday of my life and I would never get tired of them. 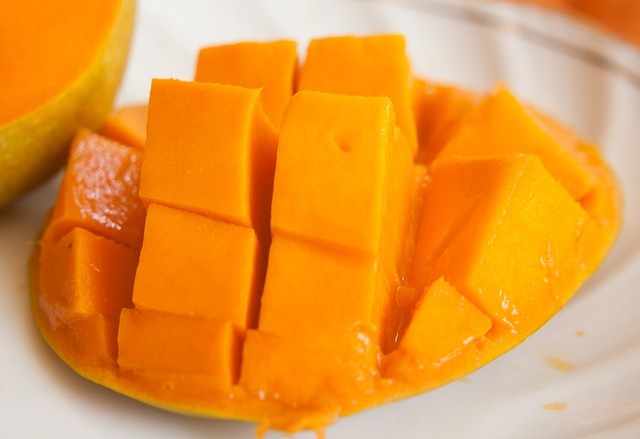 The reason why is because when we were little, my brothers and I would feast on mangoes when our grandmother sent a big box of them up from Florida. Talk about heaven! I was in heaven for the time it took for six kids and two adults to devour an entire box of mangoes. De-lish, as Rachel Ray would say! Don't you just love her. He also suggests using organic fruits and veggies. I've read this over and over. The food supply has become so contaminated by pesticides, preservatives, and chemical additives. When you have MS or any similar type condition, you should try to limit commercially processed foods in your diet. If you can, purchase organic produce as often as you can. If you are physically able, this is a good time to grow your own. That way you know exactly what's going into the soil - organic compost, fertilizers, and such - but this is a whole other story. "Montel & Mike's Sweet Green Smoothie"
In the Vitamix container add bananas, orange, and mango. Add 1 tablespoon of agave nectar. Then, using approximately 2 full heads of washed dark green Romaine lettuce, stuff and pack lettuce leaves on top of the fruit until they reach the MAX FILL line on the container. Then, fill the container with purified water to the MAX FILL line. Add a pinch of Celtic Sea Salt. Cover and blend for 20 seconds until smooth. Serve immediately. Smoothie keeps for a few days in the refrigerator. This recipe makes one quart per day. Note: If you don't have a Vitamix (believe me, it's a fantastic machine if you can get one), prepare your fruits and veggies the way your blender, food processor, or juicer, suggest. This healthy green smoothie makes me salivate just reading it. We've been juicing and enjoying smoothies since February and the health benefits are growing. Cir and I have both lost weight. We both have more energy and we're stronger. Cir's muscle tone is improving - he was always strong in his upper body, but now he feels stronger in his legs as well. He tries walking with just a cane almost everyday. He's a little hesitant, probably because he hasn't been using those muscles, but he's getting there. He's gaining more confidence and his balance is improving. We continue to drink healthy juices - most of them are versions of Montel Williams Smoothie Recipe. And we also make up some of our own, depending on the fruits and vegetables we have on hand. We are definitely getting more fiber and anti-oxidant rich foods in our diet. This is helping Cir as well as our whole family to feel better. All thanks to Montel Williams Smoothie Recipe, Vitamix, and our older daughter's healthy natural food suggestions (she must be a member of the Healthy Food Police) - we're doing pretty well. Go from Montel Williams Smoothie Recipe back to his original smoothie recipe.